← Stage 10: Another Big Name. And now comes a day to pause, relax and think– at least for those of us at home merely watching NBCSN’s daily broadcasts. Some might enjoy a history lesson once again, others might want to check-in on how Mark Cavendish is recovering, and even more– many more out there along the roads– might finally come to realize that a selfie before the oncoming peloton is just a bad idea. Altogether, we pause to consider what has been and will be amid the wonder of Le Tour de France. 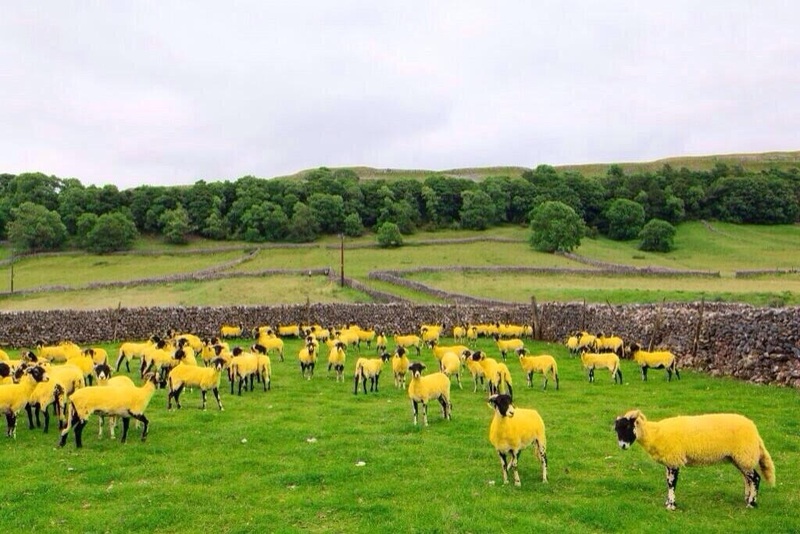 Personally, I happen to wonder if those Yorkshire sheep are still yellow! Back to Day One: The spirit of le maillot jaune lives, at least 150 times!